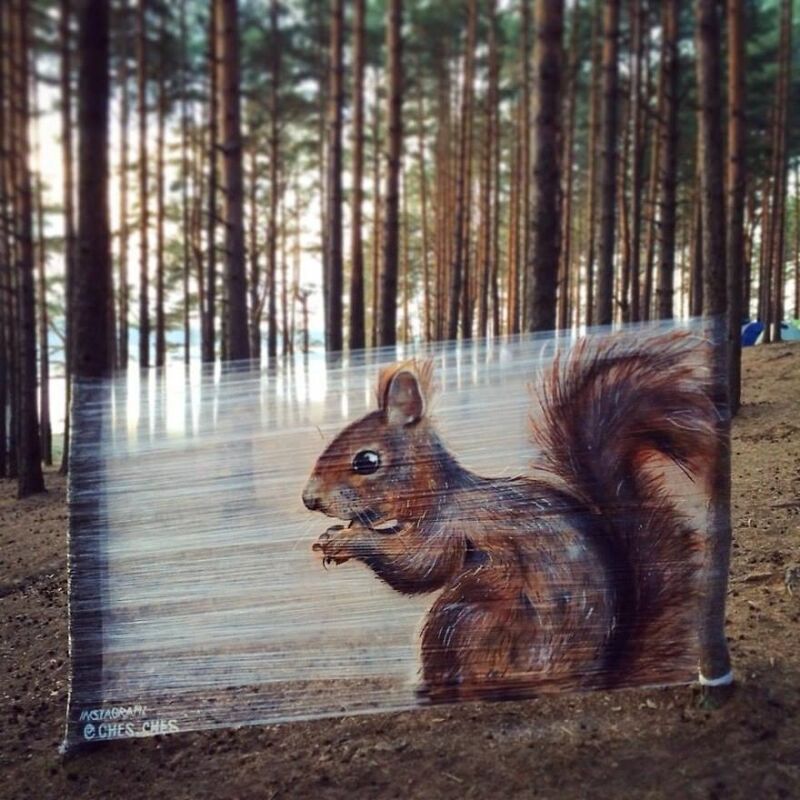 Home Pictures	This Artist Spray Paints Animals Trapped In Plastic Wrap In The Middle Of The Forest. 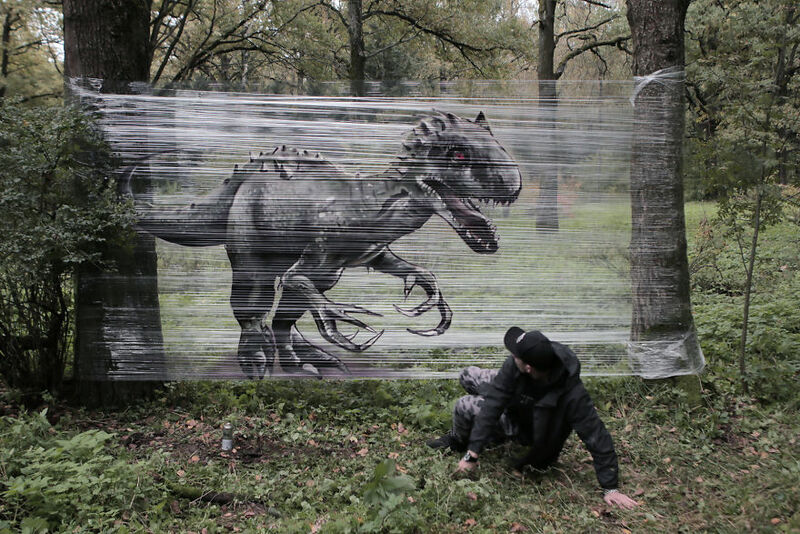 Graffiti and contemporary artist Evgeny Ches from Moscow, Russia, uses an unorthodox method to showcase his paintings. 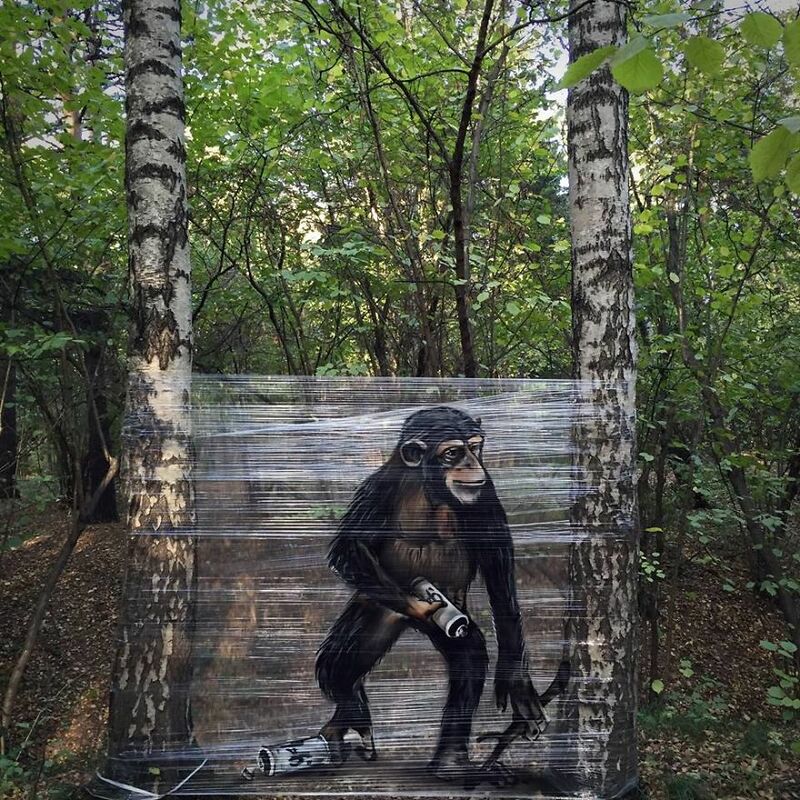 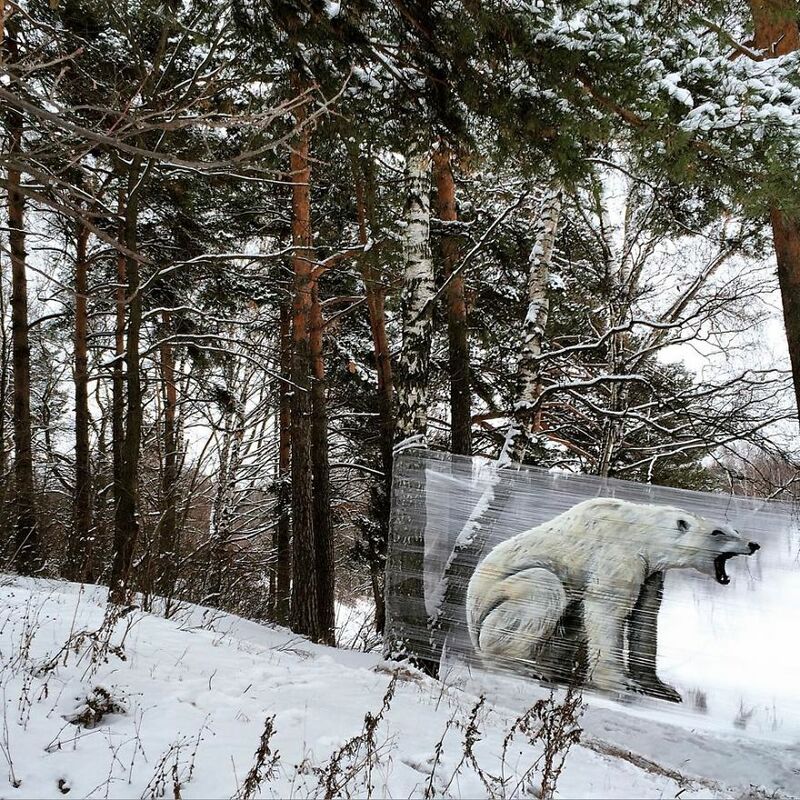 Evgeny wraps cellophane around trees and paints on the plastic – this project is of animals in the forest and the final product is pretty spectacular. 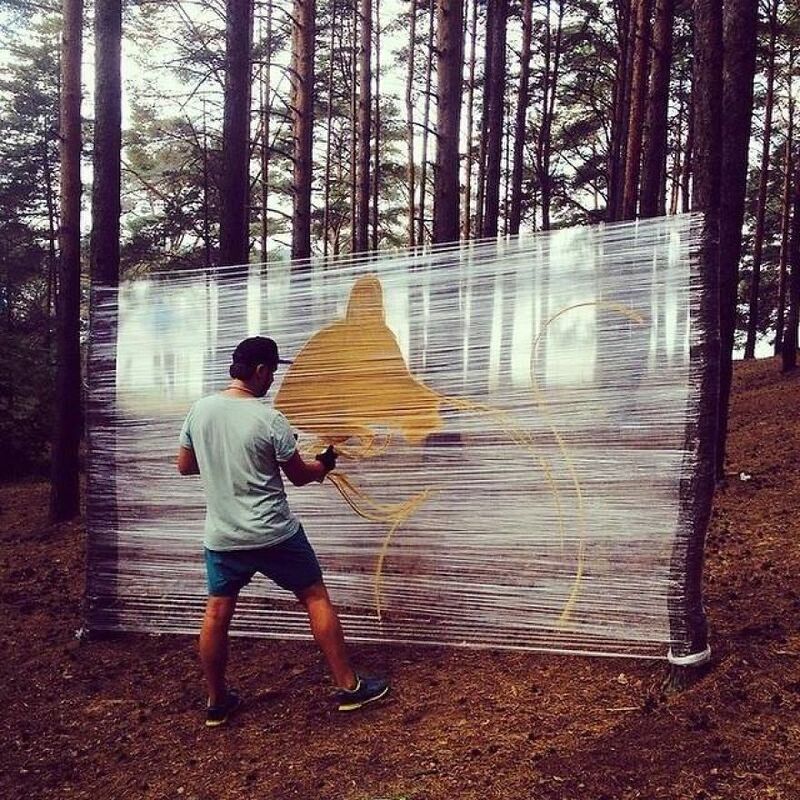 The fascinating idea of painting on film originated from French artist Kanos. 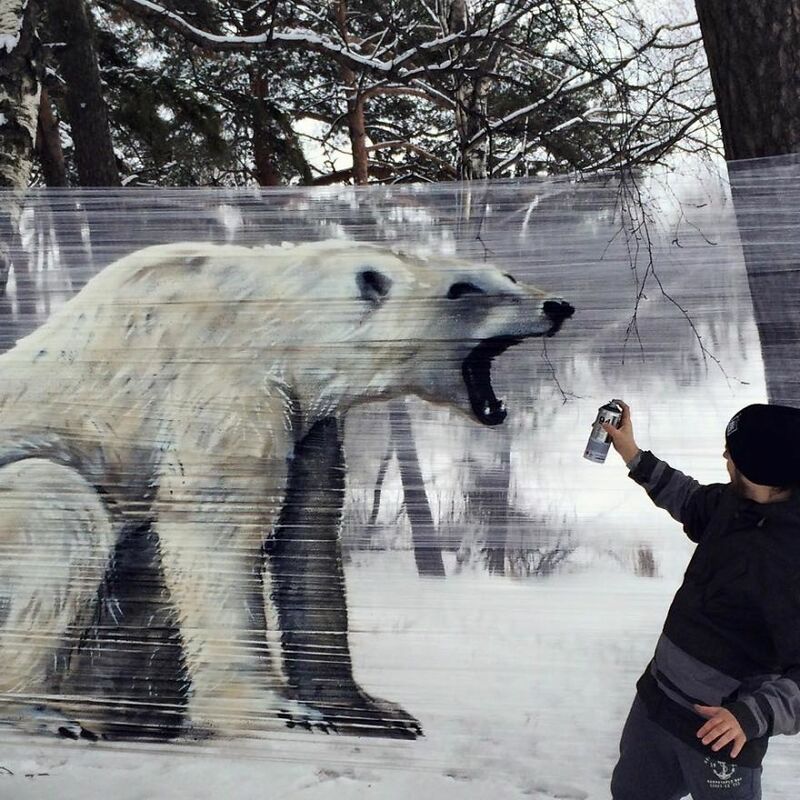 “I find this technology interesting and i decided to borrow this idea and use it in my painting.” Evgeny exclaimed on his YouTube channel.